Over the past few years, Paul Krugman, “economist” and University of New York professor, continuously criticized Bitcoin and its decentralized nature, describing it as an anti-social network because it does not depend on a state-owned or controlled money supply. To start with, Bitcoin can be perceived as an abstract financial and technological concept within the traditional frame of Economics and Finance. The Bitcoin network represents the potential of peer-to-peer and open financial networks that eliminate the necessity of the third party institutions or governing entities in order to efficiently facilitate payments between users in a practical ecosystem. 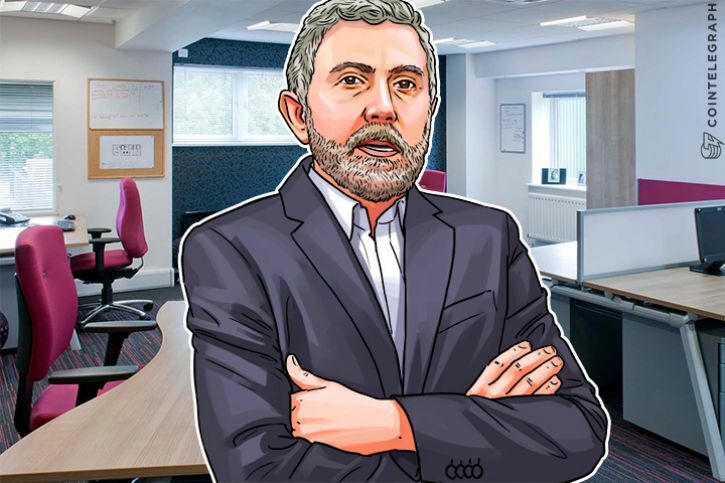 Conventional “economists” such as Krugman have been introduced to state-owned, controlled and manipulated currencies, assets and stores of value for an immense period of time that they often struggle to understand the necessity of digital currencies like Bitcoin. “Bitcoin is antisocial” because “it is not state-owned” - wait, what? 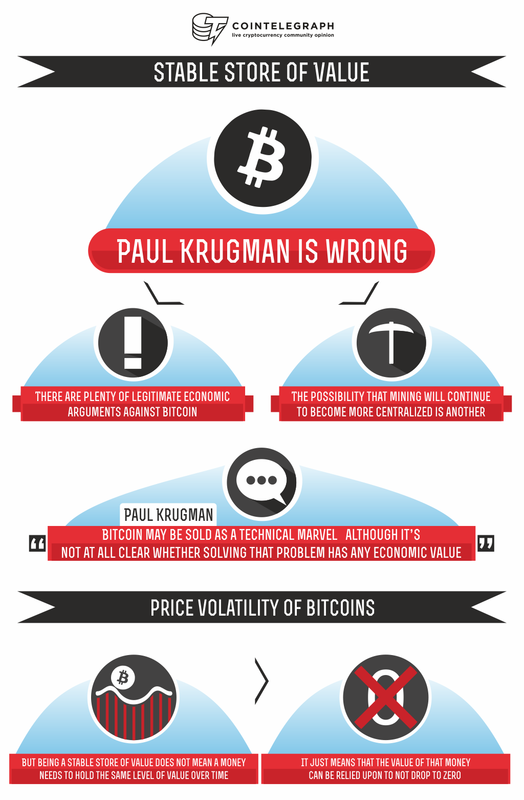 The “Bitcoin is antisocial” argument has been the core of Krugman’s criticisms against the cryptocurrency. Ironically, however, Bitcoin has demonstrated the highest level of user freedom, as it relies on a peer-to-peer protocol as its foundation. Another ridiculous statement of Krugman that he frequently pushes in mainstream media outlets such as the New York Times, for example, is that “Bitcoin is not state-owned,” which misleads users and investors on the primary purpose of Bitcoin. Basically, he says that Bitcoin was created to weaken the global banking system. Well, seriously? In 2009, Bitcoin was introduced with the sole purpose of providing financial freedom, sovereignty and independence to users. So far, it has succeeded in offering an unprecedented level of financial freedom to the general population, proving that financial networks can exist without the involvement of governments and the existence of authority. Bitcoin serves as evidence that peer-to-peer networks can exist and that users are responsible enough to lead a peer-to-peer protocol in a civilized manner. The global financial system utilizes cash as its basis. Banking systems and financial services are deployed on top of the monetary framework, offering digitalized methods of transacting cash. The role of the government within a cash-based monetary system is to provide enough supply of physical cash to support the economy. Governments have abused this power over the cash-based monetary system to print fiat money at their demand. Termed as “quantitative easing,” central banks print a certain amount of cash and distribute that among banks. While governments claim that this new set of printed money ends up at the bottom of the economy, in actuality, billions of dollars created on an annual basis are sprinkled on top of the economy for top-tier organizations and financial institutions. Bitcoin has proved that a state-owned money supply is redundant and unnecessary. In a social network, a peer-to-peer protocol like Bitcoin, each individual plays a role in maintaining an autonomous financial network.